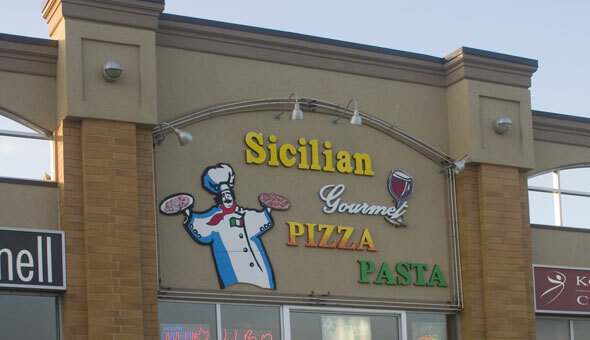 Sicilian Gourmet Pizza & Pasta is at 225 Ferndale Dr. in the plaza on the south side of Ardagh Rd. in south Barrie. At Sicilian Gourmet they cook their pizzas in a traditional wood stone oven, try one of their 28 different varieties, including whole wheat and gluten-free pizzas as well as pasta. Breakfast is available on weekends from 8 am to 2 pm. Delivery is also available starting at 11 am daily. © 2007 - 2019 YYZtech Media Ltd.